Jun Won. My last meal in Los Angeles. Feast. Spicy Pork. Steamed black cod. Seafood pancake. Bean curd soup. 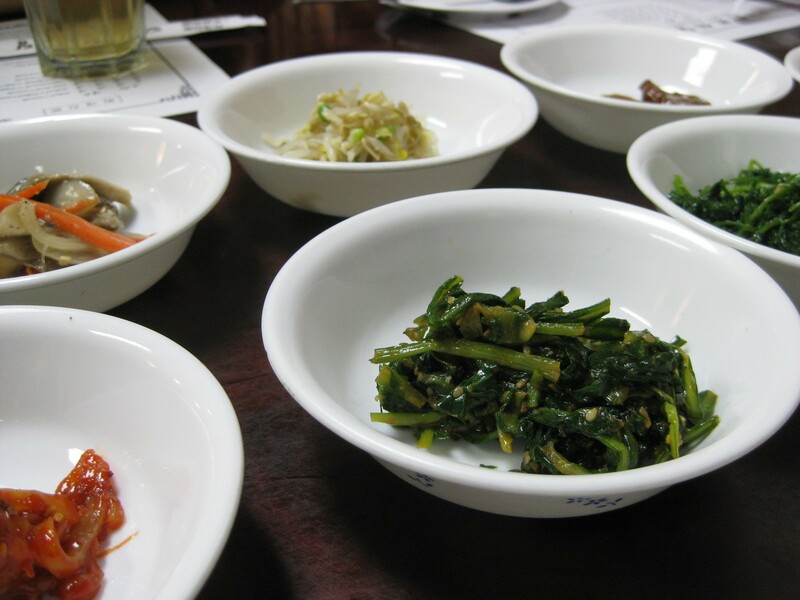 Massive amounts of banchan. Don’t quite know what to say about my last meal in Los Angeles. I always thought it would be something super epic. But considering the past six years, I’ve had quite a good slice of Los Angeles, so food is food… is food. Epic or not, good company and a good meal is satisfactory. Of my six years here, more than half of my food experiences were unreported, as I didn’t find myself to be so absorbed in food until 60% through my L.A. experience. (It was then I broke my pact about taking food photography). You must think that I’m just bonkers; who the hell thinks about this kind of crap while they’re eating? Anyhow, what caught my attention this meal was the lotus root inspired banchan. They’ve got the curious holes in the middle, which makes lotus root a 360 degree thing of beauty when cut and served. 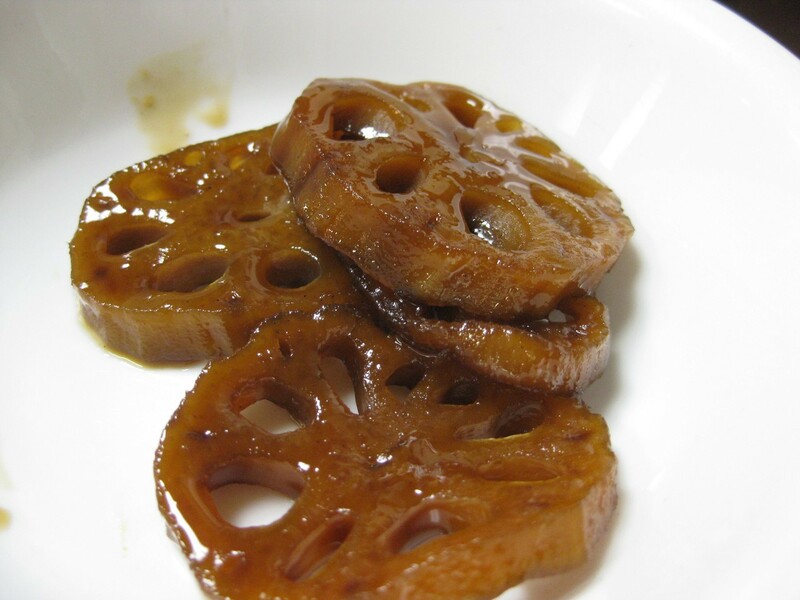 Even after complete cooking, lotus root retains its crunch; it doesn’t “fall apart” like potatoes, taro, or carrots. What gives (or doesn’t)? Similar to water chestnuts, bamboo shoots, and beets, lotus roots contain ferulic acids (phenolic compounds in the cell walls) that form bonds with cell-wall carbohydrates, preventing them from disintegrating during heating. A number of papers suggest that ferulic acids do in fact possess a carbohydrate binding effect related to lignin (a.k.a the chemical equivalent of asparagus bases) that may contribute to its resistance against heat or cooking. Crunch retained. Interesting, no? Where nature has evergreen trees, it seems only natural to have ever crunchy vegetables. Taiwan posts coming up! And maybe a shift in blog location to actually utilize the databases I purchased a while ago, and maybe customize some looks? If the .com doesn’t work, try the .wordpress.com for now.